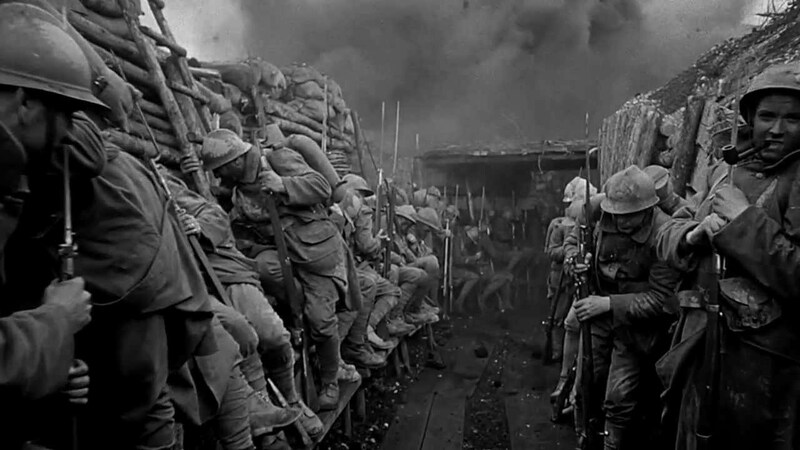 Paths of Glory is a unique WW1 movie in that it tells a tense, battlefield set story without the reliance on the realism of blood, gore and the visual horrors of war. 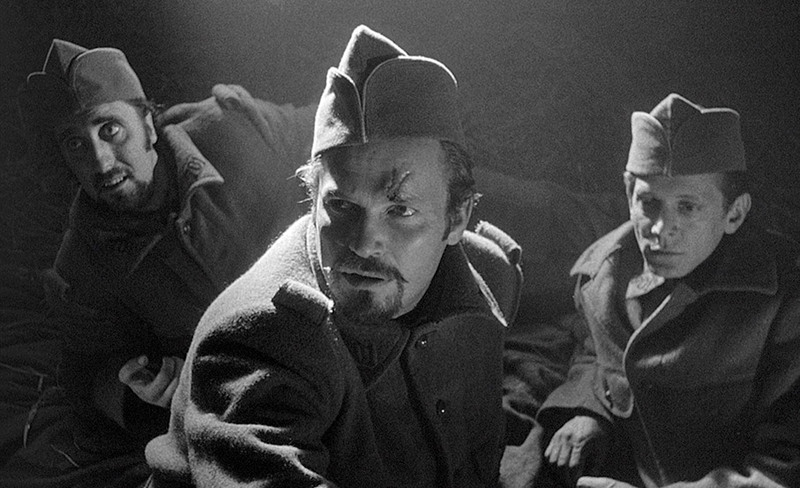 Stanley Kubrick was directing Paths of Glory in the 1950s, a time when horror and visual representations of war were not as graphic as we expect today. It had to be suggested, have a minor injury detail and rely on men to clutch imaginary wounds that strangely didn’t bleed. 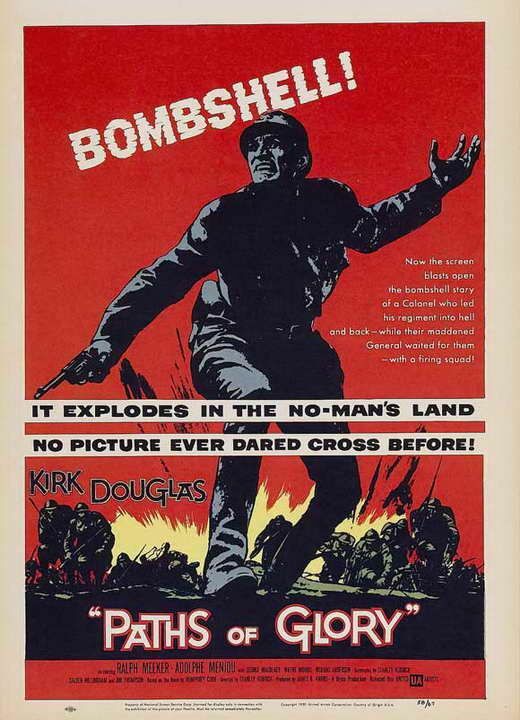 Regardless, Paths of Glory is a war movie which comments on so many truisms of the conflict. In one 90 minute movie, Kubrick manages to cover the ineptitude of Generals, the cowardice of soldiers and the brutality of the tactics, the unfair regimented punishments and the absurdity of the whole conflict. He even manages to sneak in friendly-fire and shell-shock without making them key plot points. Considering that this was the 1950s, this isn’t a sugar-coated version of WW1. The battle scene feels visceral and real. The soldiers trying to run across a shell-holed, bullet and body-ridden no-man’s land is a sight to behold and one of the better World War 1 battle scenes on film. Seeing how fruitless and pointless this suicidal mission seems is what makes the events that follow it so much more agonising to watch. Paths of Glory goes from a clear war movie through to something resembling a court-room drama. Kirk Douglas’ Col. Dax is a lawyer turned soldier and uses these skills to help defend three men who have been made examples of for the whole squadron. 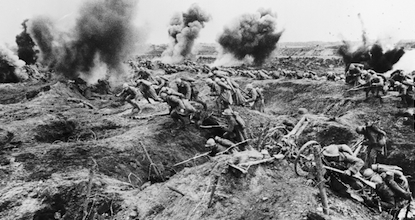 These men themselves have interesting takes on the battle and their reasons for being there. Add a General who is certain to see men pay for his battle’s failure and you get a tense and well-written court drama. It is a stripped-away military court which helps the flow of the film but the arguments put-forward and the almost helplessness of Douglas’ Dax makes for a captivating drama. The performances required here are excellent. Douglas is the star here and plays to his full ability. The same soldier who rallies troops to certain death then rallying against his own superiors is a hero you can get behind. The soldiers on trial also have a great dynamic and diverse story to tell. Ralph Meeker plays the cold, jaded Paris with determination, Timothy Carey is the ostracised Ferol who begins to lose semblance of courage as his fate dawns on him while Joe Turkel as Arnaud feels like the unluckiest and purest of the soldiers facing the firing squad. Their story takes up so little of the run-time but is a great arc which makes you feel for each of them as the events of the film unfold. Those events are brutal in itself. Kubrick doesn’t hold back and this isn’t a happy, heroic war movie. It showcases the coldness of those in-charge while the average soldier suffers. In some cases it can vilify those in-charge too much, particularly George Macready’s General Mireau who struggles to stay the believable side of a panto villain and lacks just the twirly moustache to stop himself being a full-blown cartoon at times. This doesn’t take-away from the impact of Paths of Glory and the message it so coldly tells. Right up until the final scenes, involving a bar full of French soldiers and a German waitress put on the spot. The thin-line between joy and pain is realised so simply here. It shows early Kubrick but still some of his best. 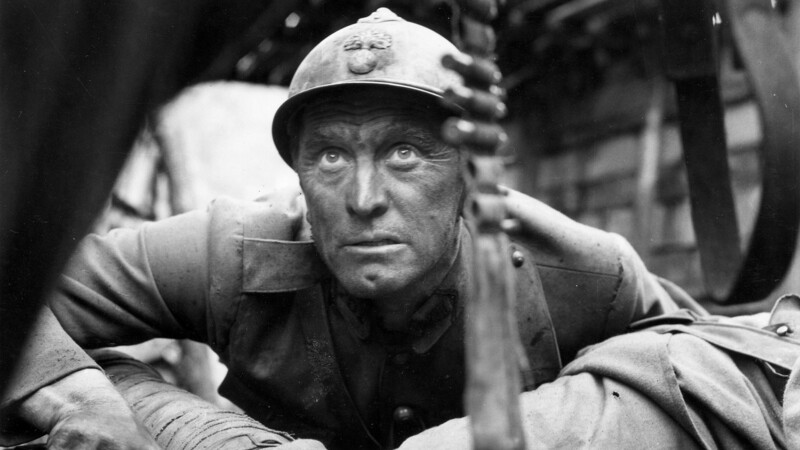 Overall, Paths of Glory is a war movie which doesn’t rely on the brutality of the conflicts weapons but does showcase the coldness of those in-charge. It covers so much of what made war unfair and absurd while also featuring a fantastic battle scene. Cartoonish villains aside, this is a great World War 1 movie. Definitely worth the watch. Nice review.